this is not my niece… this is a Google image… she is NOT a pink kind of girl. My 5-year-old niece recently told my sister that her favorite color is black like Darth Vader and that she “isn’t a pink kind of girl anymore.” Another niece has a crush on Darth Vader, recently admiring him from a far at a trip to Disneyland. My 2-year-old nephew walks around the house humming the Imperial March “Darth Vader” song. “He’s obsessed,” says his mom. In light of my ongoing generational musings, I thought it was time to use pop culture inspiration for useful analysis. “Star Wiirrz,” as my son calls it, is his favorite movie (that he’s never seen). “The one with Loop Skywalker,” he says as he draws a giant circle in the air with his tiny finger. Star Wars has no doubt captured the imagination of several generations. To indulge a bit of family history (and perhaps attract more much-needed nerds to my blog) I’ll sort through the characters we “claimed” growing up. I was the idealistic and whiny Luke Skywalker. My brother was Han Solo. My sister and her then boyfriend were R2D2 and C3PO. Fast-forward 15 years later and Han Solo has found his Princess Leia for sure. I found Ben (my much more mentally disciplined, marathon-running husband) Kenobi. And my aforementioned niece recently dubbed mommy and daddy C3PO and R2D2. She’s pretty insightful for a 5-year-old. And so the legacy story of a galaxy far, far away continues. 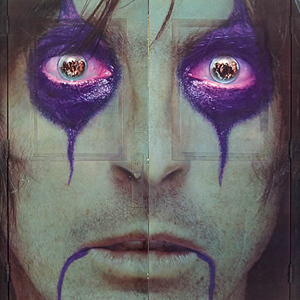 The original viewers of this epic story were my parents’ generation, the Baby Boomers. The Generational Theory by Howe and Strauss (check out my synopsis here) identifies the Boomers as Idealists, and the Millennials as Civics. These two archetypes supposedly have a sort of complimentary, mirror-image type of relationship. The Idealists come of age in a world where societal institutions have become rather rigid, sometimes even corrupt, and at worst oppressive to the individual. So they question, rebel, and have major trust issues with institutions. Decades later Civics “save” society from falling apart, and rebuild based on a foundation of values created by Idealists, and curated by Civics. The theory sounds a little too perfect, right? Like there is an all-encompassing Yin and Yang to all of human history. But history does tend to repeat itself, and principles of this theory have been eerily accurate. I’ve heard on occasion from Boomers that it has been odd for them to observe how much younger generations like culture from the 60s and 70s. Why are you listening to Jimi Hendrix? Or how do you know all of the lyrics to Hey Jude? This surprise is in part because the Boomers felt so disconnected from their parents’ generation. “Why do you like our stuff?” they think. “Because it’s awesome,” we think. 2015 fashion has seen yet another 70s Revival which is evidence of this retro-loving trend that I think most millennials innately understand. Festival Chic is also a commentary how we’re very comfortable with the cultural sweet spot of the 60s and 70s (even 80s and 90s). The truth is Boomers handed us a culturally rich world to grow up in, and the freedom to make sense of it for ourselves. Basically Idealists (in this case Boomers) did spawn a cultural revolution that has spawned debate for decades, and informs the value systems of successive generations. That’s not to say that Civic generations (in this case millennials) are not creative or original (they are), but they are highly influenced by the recent past. I get why we see things similar to our parent’s generation. We grew up hearing their accounts of how things were when they were young. We see saw Marty McFly go back in time in Back to the Future to see behind the veneer of the 1950s culture in which his parents grew up. We saw Forest Gump go to Vietnam, attend MLK’s famous “I Have a Dream” speech, and live through other cultural milestones. We saw Kevin Arnold and Winnie navigate the ups and downs of adolescence in the 1960s and 70s in The Wonder Years (am I the only one who had the narrator’s voice in my head during childhood?). We saw Pleasantville and wonder how someone could be (literally) so black and white, and rejoice when the citizens learn to color outside the lines and live more authentically. Basically, everyone needed to lighten up. But as millennials, we haven’t actually experienced the same world our parents grew up in. Not really. Why is this important? Because I think it helps us better understand the mindset of Baby Boomers. Learning more about the plight of the Idealists has given me more appreciation for the world the Boomers tried (and sometimes failed) to create for us. If you think about it they were like massive cultural editors who helped weed out ideas that were no longer working for society. Millennials parents’ are mostly late-Boomers and early-GenXers. The values of millenials have been a throwback to the Hippie generation in many ways, things like environmental consciousness, and women’s empowerment come to mind. But our biggest influences have been the people just younger than them– the younger siblings to the hippies. 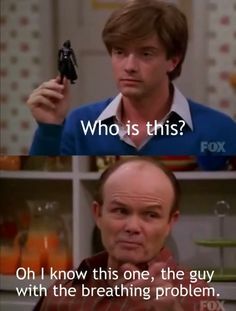 In my head I’ve always called my parents’ generation, later Boomers, the That 70’s Show Boomers. They weren’t protesters or causers necessarily. They were about as quiet as their older hippie siblings were loud. The characters in That 70s Show observed, and participated in the counter-cultural movement from the basement of their parents’ house. In the TV show they often smoke weed on the down low, listening to The Eagles, and quietly ignoring the belief system of their parents without making a racket about it. Why is this important? Because while the hippies were culturally influential to the world millennial grew up in, later Boomers were relationally influential. And that may have had a big impact on millennials are as a generation. My parents are Boomers, of course. The attitude I hear from them is that they didn’t understand why their parents were so silent about everything. I remember my mom saying one time that people her age wanted to rip the mask off of everything. They wanted to open the can of worms. They were confused why their parents were so hush-hush about everything. During the late-60s her parents got divorced. It was a time period when the word “divorcee” was whispered amongst their friends and neighbors. You get all this already though. If not, watch Mad Men seasons 1-4 on Netflix. In addition to silence of their parents, they didn’t understand why they were rigid about certain things. I’ve heard stories of angry elders who scolded them for shorts that were too short. Even small “non-conformities” seemed to be off-putting to their parents. At worst, the culture at large sometimes seemed to be one big inescapable conforming mass. On top of that, home wasn’t even a safe haven of escape, as their own parents usually agreed with the status quo. 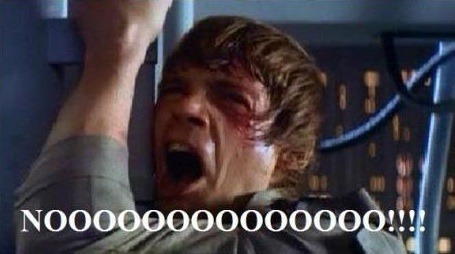 Think of Luke Skywalker’s anguish when he finds out his own father is The Empire. My parents visited months ago to meet their new grandson, Baby Z. We got to talking about generational stuff, and my dad actually brought with him a short documentary he made for a college assignment in 1978 . The black-and-white video (he burned onto a DVD) looked like it came straight out of the Darhma Initiative, and it was a fascinating encapsulation of cultural history. The documentary was a rush job my dad did to finish up a Musical Theory class. My dad decided to interview local musicians and his music professors about the changing music scene of the late 1970s. How do we make sense of new musical genres? It was fascinating to see the almost physical reaction some of the older interviewees had in their distaste of certain music. They seemed annoyed, why are you asking these questions? What is wrong with the hundreds of years of musical principles and theories we know now? It was even more interesting to observe the slightly bitter tone of the younger people who couldn’t understand how something as abstract as music, something wide open for discussion, could be such a threat. These are real Welk Girls, not from my Dad’s college project. One hilariously laugh-out-loud interview involved a local music group (who was even on local television! ), with a 40-something director. 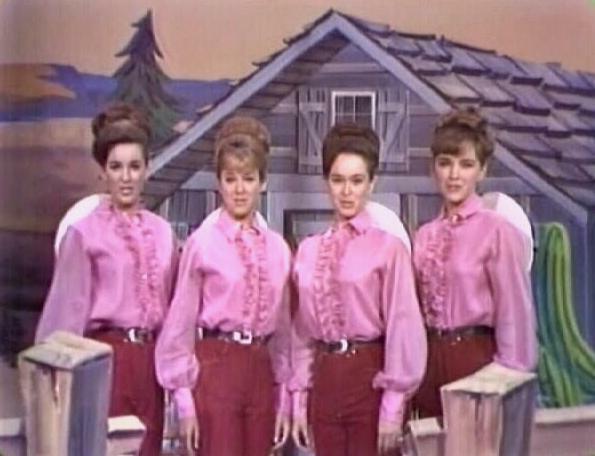 Before I was able to finish my joke about The Lawrence Welk Show, the camera panned to show four identically dressed women in 1970s prairie style dresses. 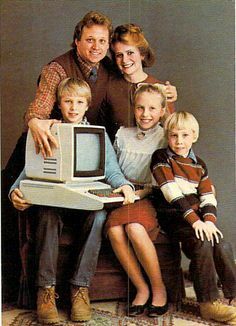 This was in the late-1970s. It made me realize how disempowered my parents’ generation felt. How they desired conversation, and how much they wanted to refresh the fatigued culture. Like Obi-wan Kenobi they wanted some of their elders to say “trust your feelings, Luke. Use the Force.” And then their parents were all, why do you need “‘authenticity” when you have four costume-coordinated ladies singing a nice song? So it’s easy for millennials to identify with Boomers, and their values. When we hear antiquated dogma like “your shorts are too short!” we may hear the distant sound of the Imperial March and think of Darth Vader squashing freedom of expression. But this is been largely through story-telling, not necessarily experience. So though millennials understand Idealists, the Civic generation model fits millennials much better. Boomers “new hope” arrived in the form of ten perfect fingers and ten perfect toes– the biggest generation in U.S. history. It wasn’t some grand idea, or abstract model, or strategy. Perhaps millennials are the hands and feet to their vision. Boomers wanted to raise their kids to feel more empowered, and free to be themselves. This was a natural parenting mindset that developed among the Boomers– a parenting style with short-comings, as well as good results. Instead of passing on a strong societal foundation to their kids, they wanted to make sure to give them a values-based foundation, and freedom of authenticity. This has been personally empowering for millennials, but they also forgot to give us a functional society. Oopsy! (You can’t have it all, right?) At least not without reassessing what our values are, and using tools to get there. And that’s where 75 million pragmatic idealists come from. Modified featured image courtesy of flickr.